Find a prospective supervisor among the faculty members in the field of your interest. Applications will not be accepted without the consent of at least one faculty member as a prospective supervisor. 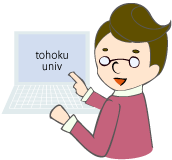 The supervisor must be a professor or an associate professor who is affiliated with or has eligibility to accept students of the Graduate School of Environmental Studies, Tohoku University. Contact the faculty members directly via email and obtain their consent. research papers, and personal websites. 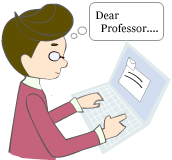 -- indicate the supervisor's name so that it is clear that who you are writing to (no "Dear Professor" or "Dear Sir"). -- properly provide your academic background and application information. -- provide the names of other faculty members if contacting more than one at the same time. -- provide the name of your current or the latest supervisor as a reference. -- name the subject of an e-mail "IELP_Application_2019" when you contact them. They receive hundreds of e-mails everyday and might fail to check your message. FAQ-Q13: I have contacted the faculty members but have not gotten a response. What should I do? Register your name and information online first via IELP Pre-application page. IELP Pre-application 2019 has been closed. Prepare the required documents for application. Forms should be typed in English. Attach an English translation of the documents written in a language other than English. All documents have to be in order of the checklist. Use index or tab and clarify the category of each document. For a candidate for doctoral course: one of the followings is necessary to submit. For a candidate for master course: one of the followings is necessary to submit. be sure to submit the certificate of graduation by no later than September 30, 2019 in case you pass the entrance examination. "Provisional Certificate" is not accepted. Please contact the Admissions Office if you only have provisional certificate but are sure to submit the original Diploma by September 30, 2019. Score of the other official English tests may be referred and considered to evaluate your English proficiency. If you have no official scores, please ask an advice to your prospective supervisor. Send the application documents via airmail. Once all the application documents are set, please scan them and email the Admissions Office by PDF in advance. The documents shall be enclosed together in one package, sent via airmail, and received by the IELP Admissions Office by the application deadline December 25, 2018. 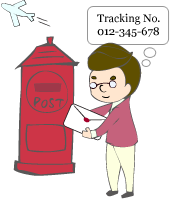 Applicant should inform the tracking number of the mail as well as expected date of delivery to the admissions office. If you have done pre-registration but your mail is not delivered to our office by December 25, we may contact you for confirmation. Please note that we do not contact those whose documents have delivered by the deadline. We will not return application documents to sender. -- Do not alter the prescribed format of the download files. Attach an additional sheet if necessary. 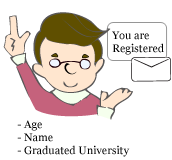 -- Forms should be typed in English. Attach an English translation of the documents written in a language other than English.